In 1847, shortly after Amos Lawrence commissioned three Methodist ministers—William Harkness Sampson, Henry Root Colman, and Reeder Smith—to establish a school on the land he owned in the Wisconsin Territory, he needed to tell the world about his fledgling college. And so it was that Rick Peterson began his career as Lawrence University’s media relations director. 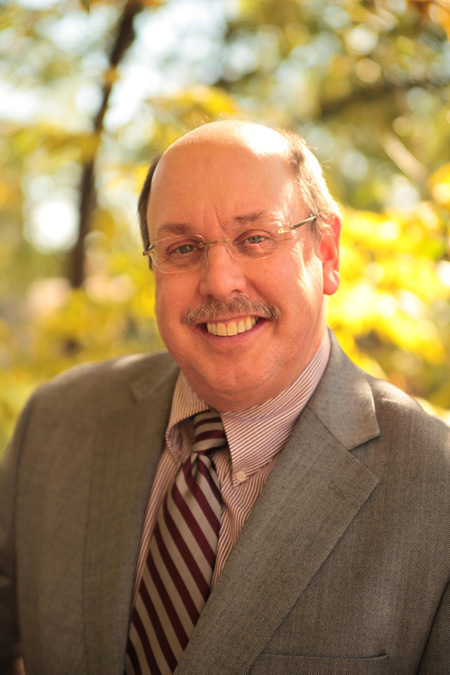 Or so it seems, now that the university community reflects upon Rick’s tenure as he prepares to retire from Lawrence University on Friday, August 17, after nearly 39 years of service. Lest you reach for your calculator, that’s 23% of the years that Lawrence has operated. 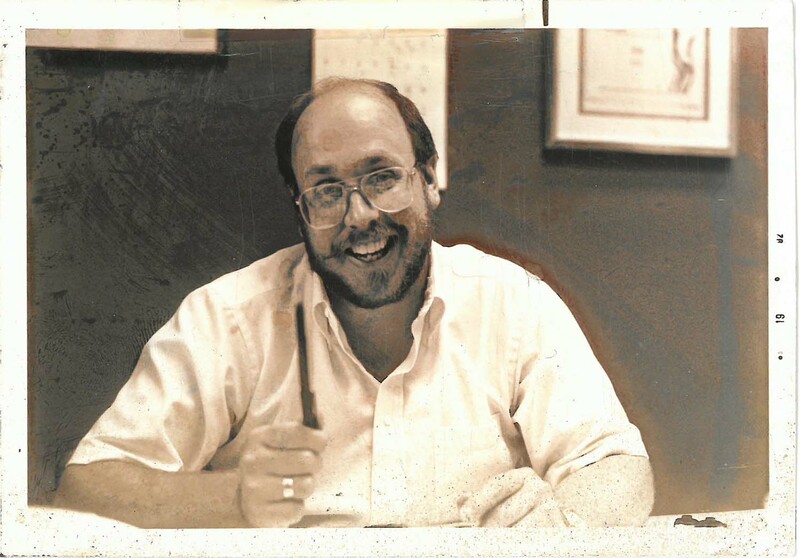 Rick joined the Lawrence staff in December 1979, after Lee Ester, then Lawrence’s director of public relations, lured him away from the Kaukauna Times, where Rick had been covering sports for 18 months after graduating from the University of Wisconsin at Whitewater. The Oak Creek (Wis.) native’s first day on the job came just two weeks after Richard Warch had been inaugurated as the fourteenth president of Lawrence University, which he would lead for 25 years. Nearly four decades, two presidents and thousands of articles, stories, and press releases later, Rick Peterson stands on the threshold of retirement leaving a legacy of advocacy for the university that few have matched. Peterson used his gift for writing not just for telling the Lawrence story, but for bringing joy and delight to his colleagues and friends. “When he sent you a note, it was with perfect penmanship and always in a straight line like he wrote it with a ruler,” says John Tharp, former Lawrence University men’s basketball coach. Despite it being closed for the summer while most students are on break, the Viking Room will temporarily reopen its doors to Rick’s friends and colleagues from 4 to 6 p.m. on Thursday, August 16, to celebrate his retirement. Rick Peterson may have written thousands of stories about Lawrence over his nearly four decades here, but Lawrence wrote this one about him.